"Excellent, The Year 3s had a ball, all 99 of them!! Parents said it was the best show they had seen in my 7 years at the school." "Great.Tremendous.Excellent. A perfect all in one performance sure to blow peoples minds!" "If you could rate higher I definitely would. It's a good show for year 5-6 and I hope you enjoy making it your own and bringing it to life as much as i did! :) thankyou"
"We are beginning rehearsals and auditions for this play and already it's loads of fun. The characters are very funny and outgoing and I would recommend this play to anyone!" "I think this play/production is brilliant for years 5 and 6 I am Suzie and we have just started rehearsals for this play. I would really, really recommend this play/production to others and I hope you enjoy it if you are rehearsing it at your school. Everyone absolutely loved the script and every aspect of Go For Gold!" "Our year 6 pupils absolutely loved every aspect of Go For Gold! The songs were really catchy and within days we had the whole school hooked on the songs. We did 2 amazing shows and the second was a very special night for the children as the show was watched by the writer himself 'Mr G Robinson'. This production comes highly recommended- you will not be disappointed. " "A fantastic reception from the parents and kids loved performing. So much positive feedback from parents. The characters and one liners went down a treat and there was a good balance of history and humour. 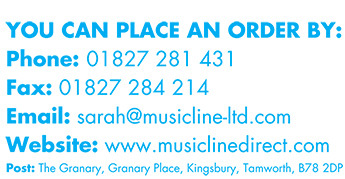 Thanks - and we'll be coming back for more Musicline productions. Looking forward to it already!! " "I am soooo pleased that I got chosen to be Hades. I am usually termed as a good person, but to play a baddie is great! Thank you Musicline! " "This play is really great!! We are doing it for Yr6 Leavers show, and we were all expecting to do something like Matilda or Wizard of Oz. We were slightly dissapointed when we got this, but now we've rehearsed it a couple of times we love it and wouldn't swap it for anything!! I am Mikos Rafonus, and the understudy for Suzie Swift. I think it is extremely relavent this year, as the Olympic Games are going to be held in London. I would 100% reccomend this play for a Yr5-6 Production (our one is just yr6), especially because there is no one main character, there are lots of big roles. " "One of the best shows ever. My best songs songs are Zues and Zueses Rap Excellent script! " "I love this play. I play Hera and because we have such a small school we can play 2 parts so I'm a runner as well. I love this play and it is so funny - thank you for this. AMAZING "
" Amazing and very funny!! My school are doing this for their year 5/6 production. I'm playing Suzie Swift and she has 21 lines! i am finding the script very clever and funny and it helps you learn about the history of the Olympics! " "I am doing this Play for my Year 6 Leavers Play. I am Gabby Galore, which Is perfect for me, as I didn't want a big part!! I love this Play and It Is very relevant to The Olympics. " 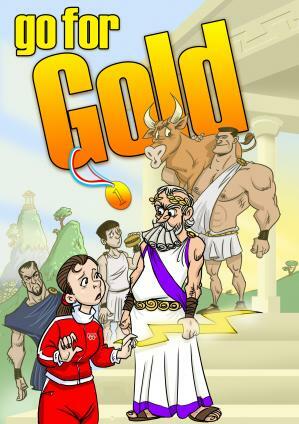 "Our year 5/6 production is on this play and I love this play about Ancient Greece. The songs are funny and amazing but we are performing in 5 weeks time so we have to get practicing!!!!! I'm Hera - but i might get my role changed. " "i think this play is amazing. I love it. " "This play is a great play for children as I'm doing it for my p7 show. I play Hera , Zeus 's wife. I really enjoy the songs In this play and it's a masterpiece once you've seen the whole play. I hope you will enjoy it as much as I do!!!!!!! " "This is an excellent way to learn and also have fun. I enjoyed doing this play as well as making the Props. In the play I was Phil 'o' Sophie. He has 45 lines and is Suzie Swift's trainer. It was extremely funny and here is an example. Phil: Well it all goes back into the ancient Greeks. Jack: A bit like Dad then, only he's an ancient GEEK! "